Homes have unique aromas. The particular smell is something you need to be removed from to really notice; however, the memory of it sticks with you. My childhood home had a distinct smell. Having a bedroom in a full-basement, not one of those fancy walk-outs, lent itself to living with an aroma on the musty side of fresh. Today memories of childhood have come flooding back. 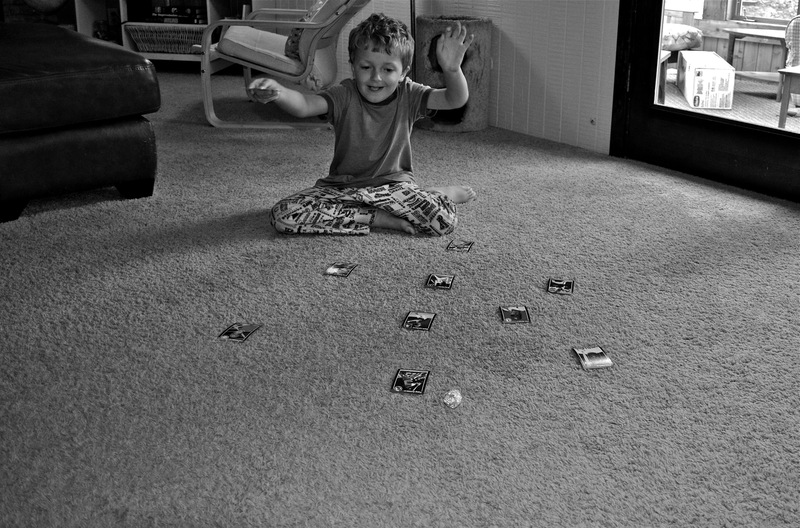 I introduced my son to the foil-ball-flipping baseball card game I played when I was his age. His stockpile of 20,000 cards spent 20 years in that basement. 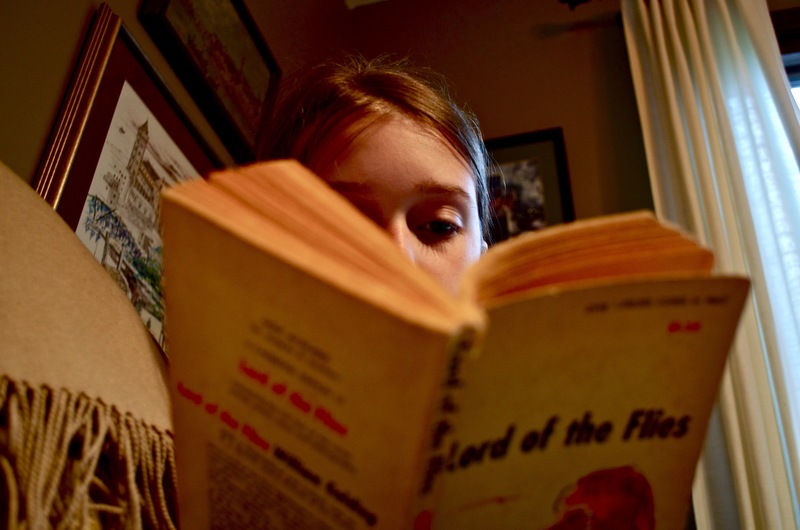 My daughter picked up a copy of Lord of the Flies. This book was my Dad’s. I’m guessing it lived a good 30 years in that basement. I haven’t been in this basement for 10 years; however, my guess is it still smells the same. It smells like these cards and that book. It still smells like home. Unless, that is, the new owners turned the basement into a fancy walk-out. love this! Lord of the Flies is still one of my fave books. it was my grandpa’s.